In an extremely surprising move the much wanted LEGO® Marvel Bricktober Minifigure Pack has officially arrived in the UK via Hamleys. The iconic toy shop are offering the LEGO Marvel Super Heroes Minifigure pack as a free gift with purchases of £50 or more on LEGO and the offer begins today. 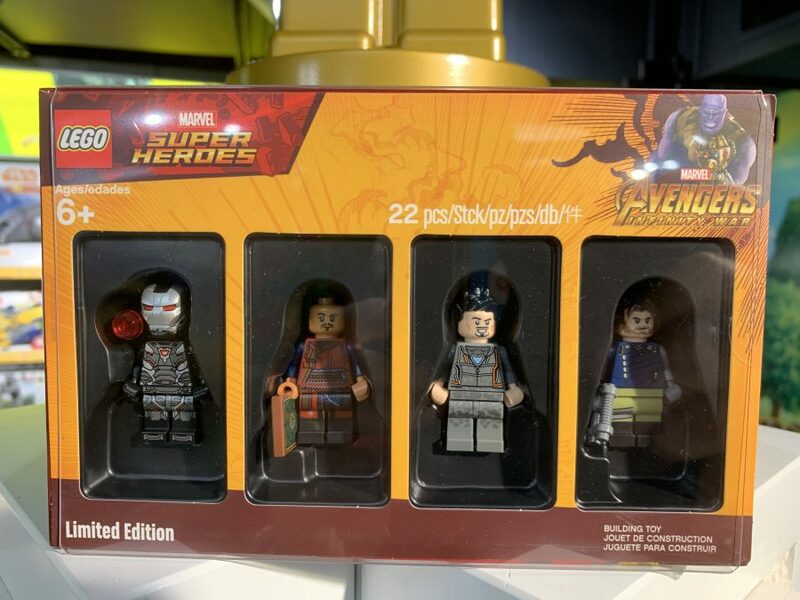 Each pack includes four Marvel minifigures from the Avengers Infinity War movie: War Machine Mark 4; Wong with book from library; Tony Stark in gray hoodie with nanotech chest piece; and Bucky Barnes with vibranium arm gifted from Wakanda. This is the first of the four Bricktober sets to officially be released in the UK. The set were normally exclusive to Toys R Us but with the retailer no longer trading in many countries, the availability of the sets have been a little tricky to get hold of and very expensive on the secondary market. In the US the Harry Potter set was available in Barnes & Noble, with LEGO stores offering both the NINJAGO and Marvel packs in recent weeks. As ever big thanks to Mark from Hamleys for the information. Update: It appears the offer is now available online for those unable to get to London or other Hamleys outlet stores (once the offer begins. Now removed online.